You’re always being asked to help with causes that are far away. Those causes are important, but if you really want to see results from your efforts and from your donations, act locally. 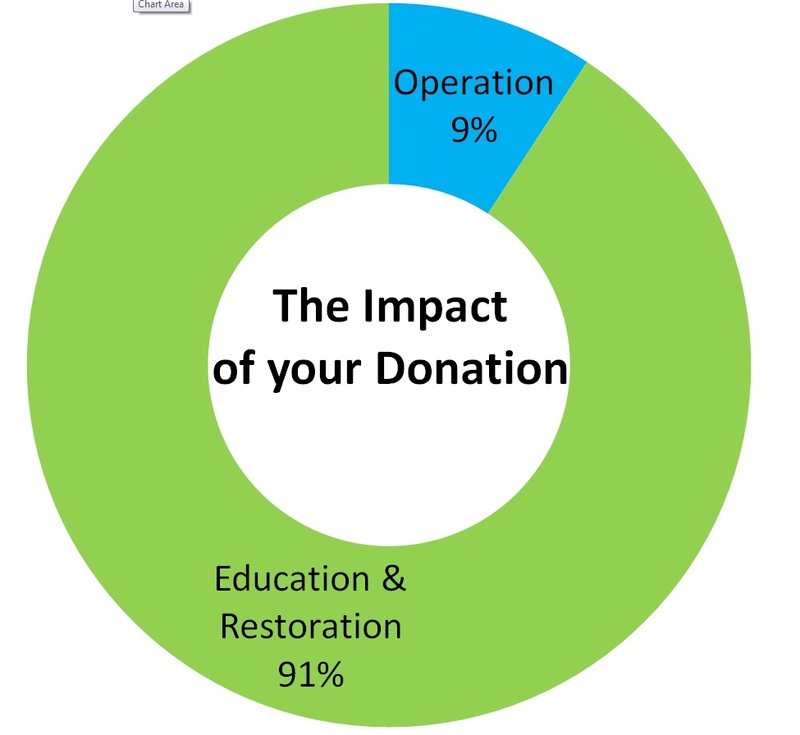 Donations help to ensure that Back to Natives education and restoration programs continue – and we are a 501(c)3 non-profit public charity – so your donations are tax deductible. Back to Natives Restoration needs at least $100,000 per year, to have insurance, staff and supplies to provide the educational programming you love, the volunteer events that you love to attend to help save the world, and to just keep existing! So far this fiscal year we have only raised $42,583. We need your help! Just $5 per month from everyone on our social media and email could fund BTN for the year. Please pledge now! Back to Natives Restoration is a Non Profit Public Charity under section 501 (c) (3) of the Internal Revenue Code. Contributions to BTN are deductible under section 170 of the IR code as of February 13 2007. As little as $5 per month, (but if you can afford more, please send what you can afford to help save the world for habitat and assuage the effects of global climate change!) from all of our supporters would alter the course of BTN, by providing a fully funded season, allowing f0r all staff positions to be filled, and thousands of volunteers to be trained on how to perform habitat restoration and native plant propagation! In Kind Donations: Have a thing you think we may want? Check our wish list! 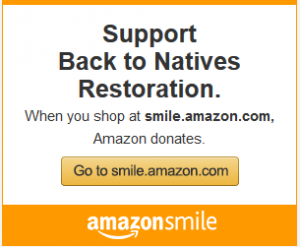 Show your support for Back to Natives in a lasting way! For a $250 donation Back to Natives will name a table at our native plant nursery after you or your group. For a $75 donation we will name a native plant propagation platform for you or your group. You can choose to donate once or on a monthly basis to help assist Back to Natives with the many programs and projects we have in the works. Your small monthly donation will bring HUGE support for Back to Natives! Restoration can be an expensive proposition. Scientific studies, manual labor, contractors and permitting all cost money. Your donation is essential to assist BTN in bringing back the native ecosystems to our open spaces. BTN recognizes the need for the ready availability of native plants. To this end, BTN has worked toward opening our Back to Natives Nursery at Santiago Park! Funding is needed to purchase irrigation and propagation equipment. All levels of donation are appreciated! Volunteers are the heart blood of most Non-Profits. To this end BTN wishes to thank one and all that have come out to our Volunteer Restoration Days and helped us make this planet a better place in our own backyard! Volunteers deserve recognition and our appreciation. Without them many of our projects would not have succeeded.